Visually pleasing content, videos, eBooks, or graphics (to name a few) can make your customers feel a connection to your brand that they might otherwise not. This post shares examples from four consumer brands that have integrated visual content to help tell their stories, and engage customers. When many of us think of Kraft Foods a nostoligic picture of childhood favorites comes to mind. Whether it be Mac-n-cheese, Jello, or Kool-Aid we have all craved their products at one time or another. I am a huge fan of Robert Munsch and have been since he visited our public school, many moons ago, to read to our class the story of The Paperbag Princess. You might remember Munsch from your own childhood; he travelled Canada and the U.S. visiting classrooms and sharing his stories, not because it was a sales driver, but because it was what he loved to do. If you’re not familiar with his work, Munsch is a popular and much-loved Canadian/American children’s author originally from Philadelphia, Pennsylvania. His personal story and professional accomplishments are fascinating, yet it wasn’t until fairly recently that I began to think about how his successes translate so well to marketing. Digital Marketing Growth Opportunity is Knocking: Are You Answering? 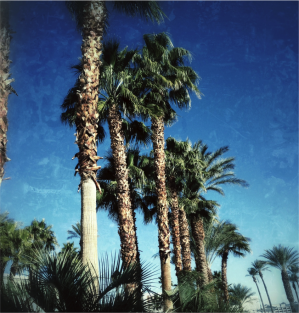 Since 2001 our “practice what we preach”, digital marketing and PR agency at TopRank has experienced growth every year. Like many frugal and efficiency focused businesses, we’ve been conservative about business operations, taking on zero debt and running pretty lean. All of our marketing (and most PR) is inbound. We do not employ dedicated sales people or spend on advertising. This approach has kept us small but extremely efficient with exceptional project management, account management and consulting capabilities that exceed those of agencies many times our size. Content marketing software company SocialEars share 14 methods for winning the game of content marketing in this fun infographic. Follow the rules to earn more relevant eyes on your content; be careful, though, over-promotion could result in your company losing the game. While it’s certainly true that promotion is important, the infographic misses the mark in exactly when this becomes an important consideration. 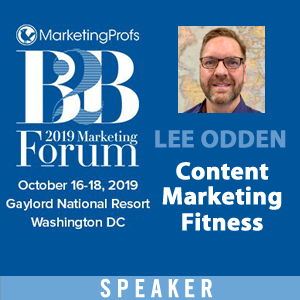 As TopRank CEO Lee Odden has said time and again, the time to think about how a piece of content will be discovered and shared is in its planning. Content promotion should be baked in from idea conception; thinking about how you’re going to get people to read your next big piece after you’ve finished it means you haven’t accounted for your audience’s needs at all in the creative process. You’re already late to the game. For the past 2 years we’ve been publishing a list of the top UK focused internet marketing blogs in advance of speaking at events. This year I’ll be presenting on Creative Content Marketing at SES London February 19th. Since bloggers do more than just write posts, I’ve shifted the focus of this list from blogs to individuals. With the increasing importance of authorship and personal brands, I think it’s important to consider individual bloggers and the content they share whether its tweets, status updates, or other useful information created online. As a result, the people on this list are recognized for their overall social sharing about “online marketing” related topics, not just blogging. 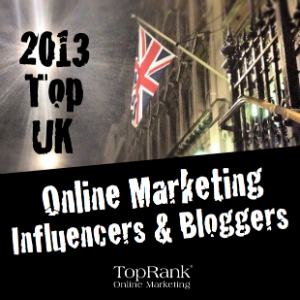 Thanks to nominations made from some really helpful UK bloggers we’ve created the Top 50 UK Online Marketing Influencers & Bloggers. You’re probably familiar with at least a few social media horror stories; those epic hate-bombing situations, where companies commit social suicide in one way or another and pay for it very publicly. One such company was Boners BBQ, who posted on their Facebook page a picture of a customer who had written an unfavorable Yelp review… and captioned it with a rant which included calling her horrible names and accusing her of not tipping the staff (see the full story by Scott Stratten at Unmarketing). The fatal attraction I speak of is more insidious, less intentional, yet can chip away at your time and resources, effectively undermining your social efforts and hurting your ROI. Is your social content attracting the wrong type of attention? 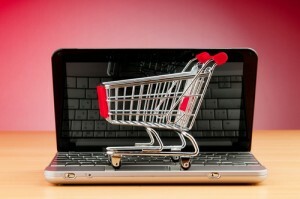 Retail websites are flush with product information, specs, and images of items available for purchase. However, it may be difficult to find a way to provide detailed and engaging content for customers visiting a website when they’re just looking to purchase. Starting a company blog provides a good opportunity to attract new customers and engage current customers with content about your products and other topics that are of importance to them. It doesn’t matter if the items being sold are car parts, clothing, electronics or furniture, there is an opportunity to help solve pain points and arm your customers with information that encourages engagement and purchasing decisions. Interest in scaling social media sales has increased significantly over the past year and in 2013 it be even more so. Organizations of all types and sizes are coming to terms with the need to better monetize their investments and one of the most compelling opportunities to do so is through helping sales leadership develop their personal brands online. It’s understandable why: A recent study reported on by eMarketer indicates that 67% of BtoC marketers and 44% of B2B marketers saw leads generated through social media channels. Many companies are investing in social media listening for things like buying signal keywords to engage with prospects and creating content specifically to address the kinds of questions that lead to inquiries. However, there’s only so much a community manager or social media strategist can do. This recent infographic from Pardot features the social media platform winners and losers in 2012. You’ll find scoring based on growth, number of users, ROI as well as insight into which platforms are best for mobile, visual, or connecting. First off, what is Graph Search? Facebook has amped up its search capabilities by rolling out this new feature. Danny Sullivan’s article provides a step by step deep dive into using Facebook’s new Graph Search. Via Search Engine Land. The recent launch of Myspace’s new design has left many users wanting more, or is it less. The interface is confusing to navigate and includes a lot of scrolling that you might not have anticipated. Also, might of the site appears to be one giant ad for Justin Timberlake. Via CNN. The rise of ecommerce websites has heralded a new era of convenience for consumers, as well as the most powerful tool for retailers since electricity. However, ecommerce sites bring with them a host of SEO challenges that can quash any hopes of being found in organic search. Fortunately, with a little foresight and a bit of technical knowledge, ecommerce retailers can maximize their SEO potential and literally rise above the competition (in the search results), resulting in more customers and increased sales. The single biggest SEO challenge for ecommerce sites is duplicate content. While nearly every modern website can be subject to this issue, the characteristics of most ecommerce websites tend to have every attribute that typically results in duplicate content.